New for 2016, the Belleville 312 ST updates the Belleville 310 with a modern design to today's soldier. 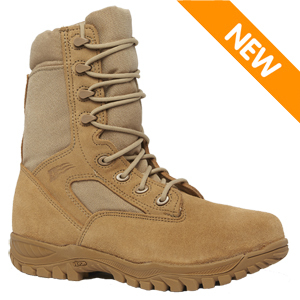 This hot weather boot was built for punishment and features 100% cattlehide leather & nylon fabric upper. 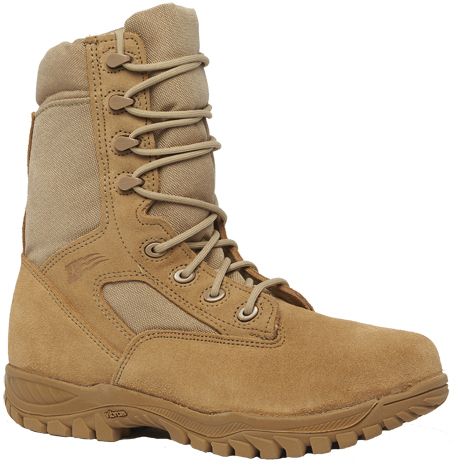 A tactical boot in design, this steel toe boot is built on an athletic strobel-stitch construction and sports a 100% rubber EXCLUSIVE VIBRAM INCISOR outsole. 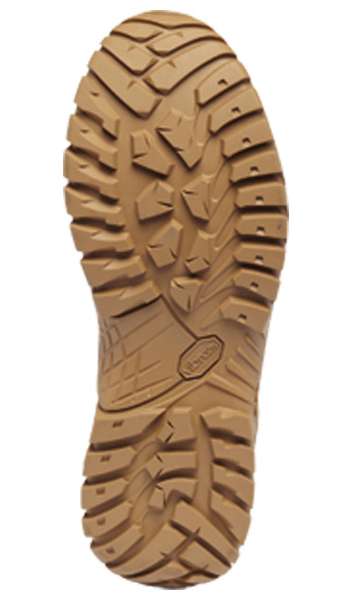 This tough and durable outsole is lightweight and long-wearing, oil & slip resistant, flexible, and shock absorbing. This boot is made in the USA, is Ar-670-1 compliant, and is Berry Amendment compliant.